Nunavik was the first area visited by James Houston in the late 1940s, it quickly became an important centre of carving production for export. 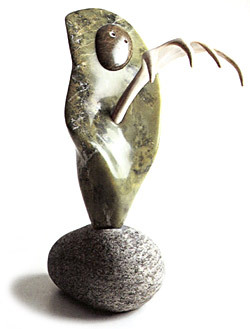 The now classic Inuit art aesthetic was established by artists on the east coast of Hudson Bay. Nunavik Art Alive aims to fill this gap by presenting the arts of Nunavik past and present. Not only did art for export begin in Nunavik, but it is a continuing important activity among Nunavamiut, where individual talents are flourishing.